The Aussie Millions Main Event and High-Roller tournaments are now underway, with some of the biggest names in poker in attendance, and halfway across the globe another poker tournament attracted its own group of poker superstars, the 2013 NBC National Heads-Up Poker Championship. The NBC NHUPC is coming back after a one-year hiatus, with this year’s event marking the eighth running of the popular invite-only tournament. As always NBC invited 64 of the best and most popular poker players to the tournament, along with a couple of poker playing celebrities, and even with some last minute withdrawals (most notably Daniel Negreanu and Vanessa Selbst) the roster was one of the strongest the tournament has ever put together. On Thursday the first round of the event was played, and the field was cut in half. Among the bigger upsets in Round 1 were Jean Robert Bellande losing to the WSOP.com qualifier BJ Miller and Producer Sam Simon besting David Oppenheim. Both Matusow and Hennigan were surprise picks to begin with, and of course the addition of Phil Hellmuth making a deep run in any televised poker tournament is sure to grab some attention. In the end it would Matusow, Seiver, Hellmuth, and Serock who would make the Final Four, with Hellmuth and Matusow meeting in the finals –Setting up something of a throwback match for fans who have been following poker for years. In the best-of-three finals it was Matusow who controlled the action throughout, and even though the match went to the tie-breaker game Matusow was dominant. The only reason Mike lost the second game of the match was because of a terrible beat, and it took him a mere 25 minutes to win the third and decisive game of the match. Matusow is one of the most accomplished poker players in the game, but his career has been marked with ups and downs, highlights and lowlights. But through it all “The Mouth” has been open and honest about his struggles, and opened his entire life up in his book Check Raising the Devil. 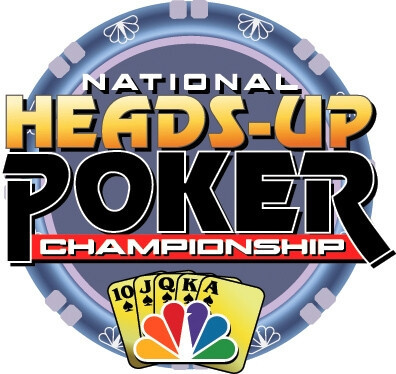 Congrats to Mike on being the 2013 NBC National Heads-Up Poker Champion.